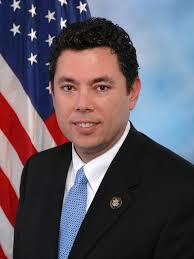 If you’re Utah Congressman Jason Chaffetz, you vengefully kick people while their down. It’s what you do. Chaffetz has been making headlines all week by piling on presumptive Speaker of the House nominee Kevin McCarthy, who most observers had already slotted into John Boehner’s Tea Party whipping boy post. At least until McCarthy badly stumbled by copping to the worst-kept secret in Washington – that the Benghazi hearings have been a Hillary Clinton political witch hunt. Chaffetz threw his hat into the three-ring-Speaker circus on Sunday with the same gusto he’s shown in going after the Secret Service and Planned Parenthood as chairman of the House Oversight and Government Reform Committee. His longshot Speaker bid has enraged the GOP mainstream and hammered home the conservative credo of confrontation over compromise. Again, that’s how Chaffetz and his ilk roll. He’s already promised us a government shutdown over Planned Parenthood funding, as contrived as the controversy is, and called out Senate Majority Leader Mitch McConnell for “caving in” to Democrats who want to keep the country actually functioning. A secret ballot is set for Thursday to nominate the next Speaker. 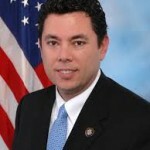 The kind of paralysis Chaffetz is calling for in Congress – a hallmark of the last seven years of the Obama administration – would likely guarantee Democrats the White House. But it won’t solve any of the pressing problems facing the nation. In fact, it would only exacerbate them. But Chaffetz doesn’t care. For him, it’s all about grabbing the spotlight and exacting revenge – a tactic he learned early on as a placekicker for Brigham Young University. As a cub sportswriter for the Rocky Mountain News in Denver, I wrote a story about Chaffetz kicking the winning field goal for BYU in a victory over the University of Colorado at the 1988 Freedom Bowl. Chaffetz ran off the field pointing an in-your-face finger at then CU coach and future Promise Keeper Bill McCartney, who refused to give Chaffetz a look at placekicker coming out of tiny Middle Park High School in Granby, Colo.
Chaffetz moved to Utah, converted to Mormonism and Republicanism (he briefly worked for Democrat Michael Dukakis’s presidential campaign as a family favor), and rose through the GOP ranks to chief of staff for Utah Gov. Jon Huntsman – the lowest vote-getter and only GOP presidential candidate to acknowledge global climate change in the 2012 primary race. Huntsman took a shot at Chaffetz on Twitter Monday, saying McCarthy just got “Chaffetzed” by his former chief of staff, “something I know a little something about.” He then tossed on a couple of very unflattering hashtags (#selfpromoter and #powerhungry) in case we didn’t know exactly how he feels about the man. And to think, just five short years ago as a rookie lawmaker, Chaffetz mugged with fellow freshman and political polar opposite Jared Polis of Boulder, who several times now has joked he definitely isn’t in the Speaker mix. Chaffetz at the time was gunning for the NCAA and considering congressional action to force a college football playoff. Oh, and he also talked energy policy and the burning need (pre-Fukushima) for more and more nuclear power. Now the former Coloradan converted to ultra-conservative Utah pit bull is looking to “Chaffetz” the House of Representatives and maybe, just maybe, the entire nation.